Objective: This is a year-long contest to encourage Swamp Fox Contest Group on-air activity. Date: The contest period runs from January 1st through December 21st of each year. Our online “SFOTA Leaderboard” will include real-time QSO totals for all member submissions. First time Signing In: Sign in with your call sign and the temporary password SFCG. The first time that you sign in using that password, you should see a screen with the text "Please Reset Your Password". Once you reset your password, you should be good to go. Valid QSOs: Valid QSOs made in any radio contest count towards this competition. The radio contest must be open to anyone and whose schedule is posted any universally accepted radio contest calendar. These calendars include, but are not necessarily limited to the ARRL, "CQ magazine", "The National Contest Journal", and WA7BNM. Multi-Op Station Operators – Members of a multi-op contest station may receive credit for all QSOs that the individual operator makes during a contest. It is the individual member’s responsibility to submit the contest data into the SFOTA entry system. Multi-op must be a SFCG member station. *** If you are a member of more than one contest club, your log must be credited to Swamp Fox Contest Group to submit your log data for the SFOTA competition. Important: It is the intention of this competition that all logs for contest QSOs included in the SFOTA system have been submitted to the contest sponsoring organization per the contest rules AND posted on 3830scores.com. The 3830scores.com requirement does not apply if the contest isn’t included in the 3830scores.com database. Contest Data Submission: Each operator will submit his/her scores to the SFOTA entry system via a link on the Swamp Fox Contest Group website. Our online system will record your QSO data for each contest. Our “SOFTA Leaderboard” will include a QSO total for all member submissions. Contest data must be entered by the participant no later than 10 days following the end of a contest. Any contests that conclude after December 21st will be included in the following years SFOTA program. SFOTA contest data submission dates will be reviewed by the SFOTA team. Any late submission data will not be eligible for SFOTA awards. Program Changes: These rules are to be fixed for the period of the SFOTA competition year. 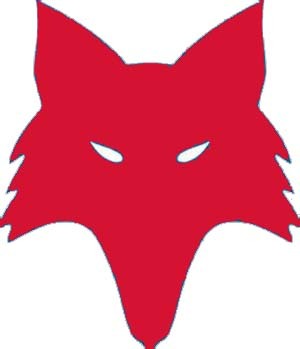 Changes to the guidelines shall be at the discretion of the leadership of the Swamp Fox Contest Group with input from the membership of the Swamp Fox Contest Group. Proposed changes for the following year, must be provided to the SFCG President prior to the annual meeting. Changes will be discussed at our annual membership meeting held in January of each year. Awards will be determined by club officers prior to the annual meeting. There will be a minimum of two SFCG members who will serve as SFOTA system admins. They will be responsible for managing the reporting system and providing support to members as needed.